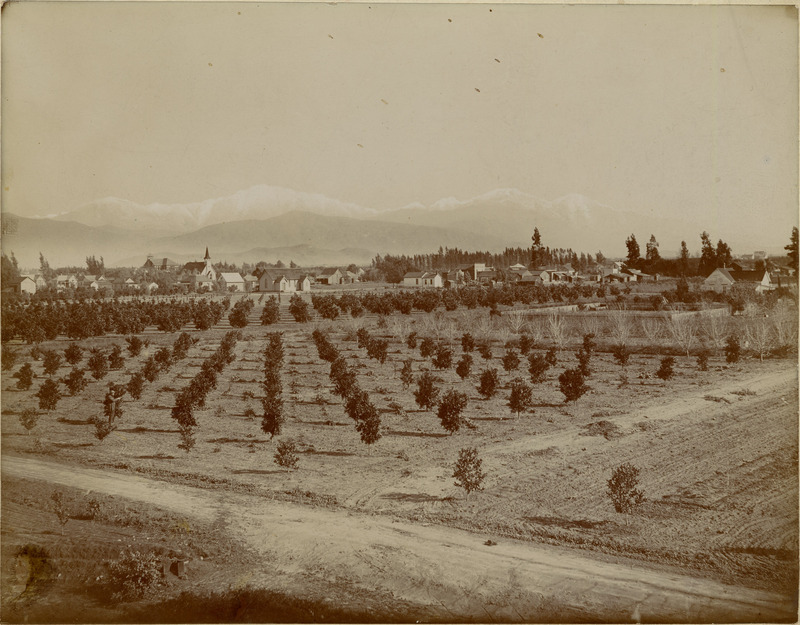 Some time ago, Covina historian Glenn Reed sent me this old photograph of Citrus Avenue, looking south from a vantage point near Italia Street. Photo courtesy Glenn Reed. Click image for enlargement. Although the photo bears no date, it can be said with certainty that it was taken in 1898. 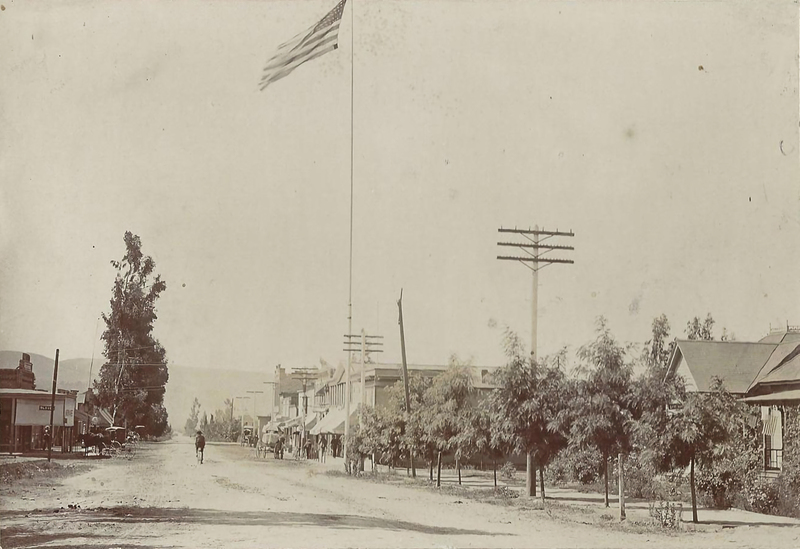 It can't be any later, because the First National Bank of Covina was built on the northwest corner of Citrus and College (where the flag pole stands) in 1899, but it can't be earlier because I can just barely see the T. E. Finch Block a few doors down, and that was erected in 1898. 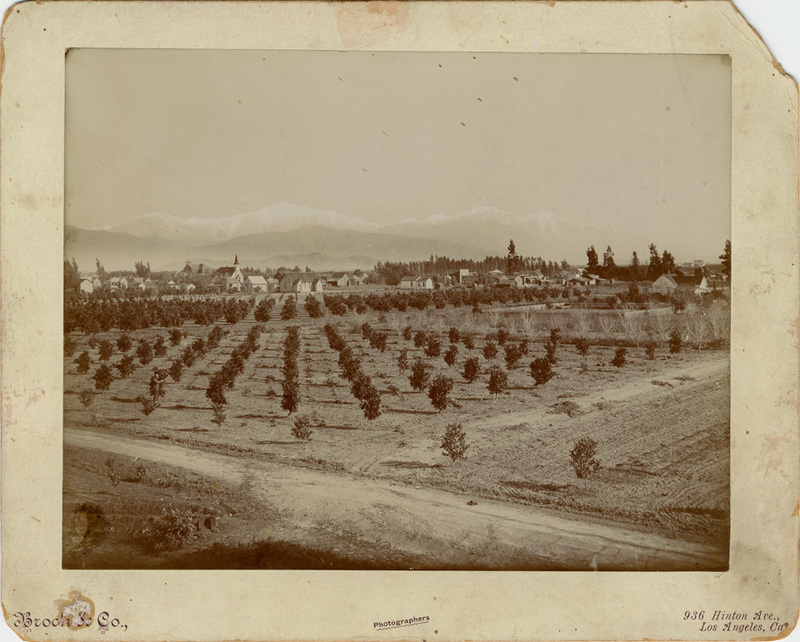 Then, only a few days ago, reader Brian Solar sent me this illustrated newspaper article from 1897 that features an even earlier view of Citrus Avenue. Although a simple drawing in its details, I have confidence in its historical accuracy. Look at the eucalyptus tree at right. 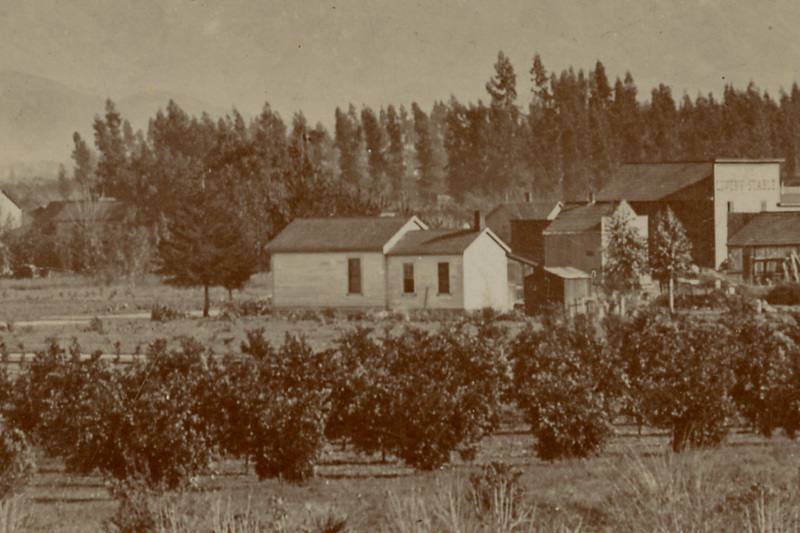 It's a close mirror image of the same tree in the 1898 photo above. 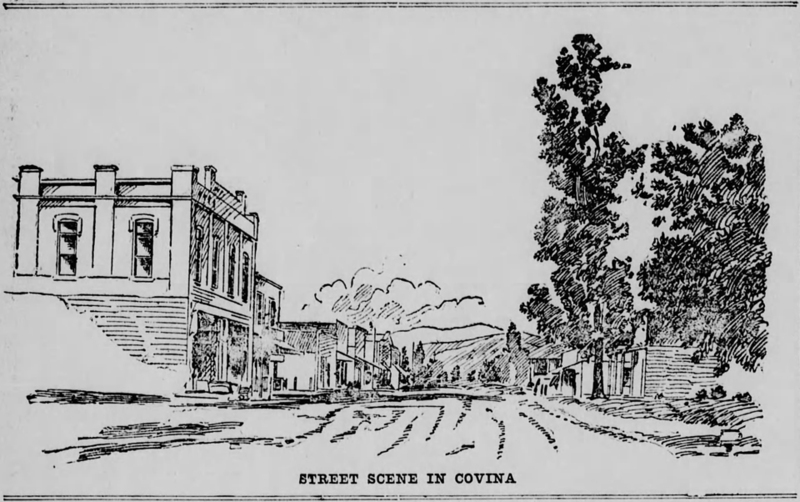 From the article "Azusa, Covina, Glendora" in the the Sunday, December 5, 1897 edition of the Los Angeles Herald. Source: Newspapers.com, courtesy Brian Solar. Click image for enlargement. Interesting to note that the flag pole is not depicted in the 1897 illustration, so that must have gone up the following year, too. 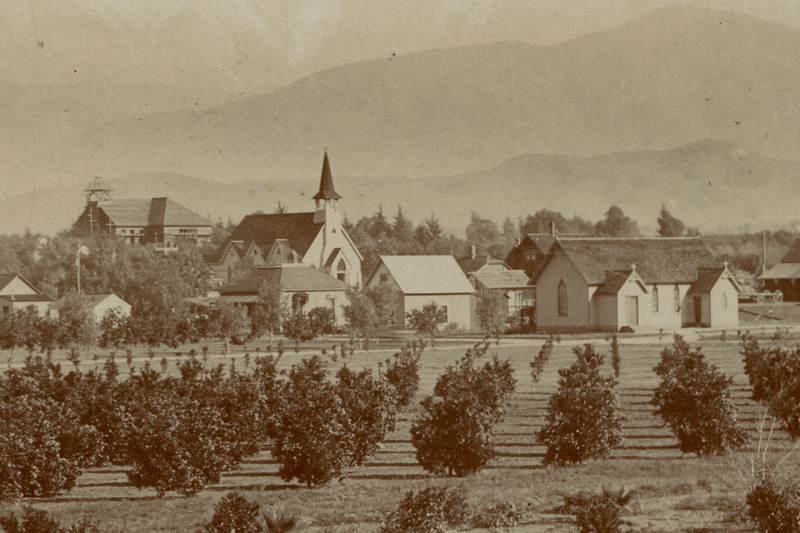 At left is the then-brand-new Chapman-Workman Building (1897), still standing today at the northwest corner of Citrus and Badillo. Across the street, however, the lot appears vacant. 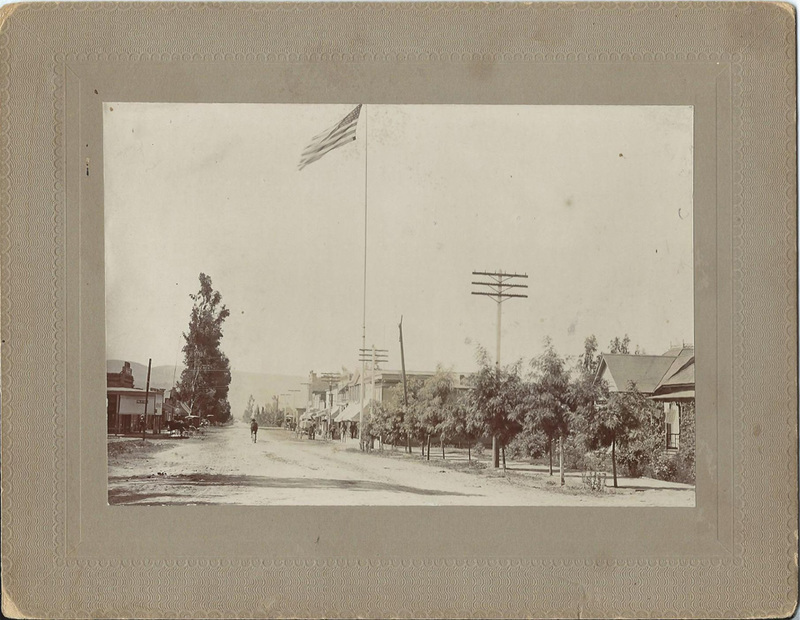 The Reed Block (and what later generations would know as the Covina Theater) would be built on that site in 1900.